The Apples to Apples model of party games has turned into a tried and true format, going dirty with Cards Against Humanity and performative with Funemployed, among others. Even Dixit owes a little bit of its whimsical DNA to the now iconic game. For the uninitiated, Apples to Apples has players offering up a word that best exemplifies an adjective, with the winning choice selected by the round leader. The results are generally hilarious, but after a while, the thrill can fade as the same options pop up time and time again. This is most apparent in Cards Against Humanity, whose titillating offensiveness transitions into stale joke within two sessions. Variety is what ultimately kills these games — or at least removes some of their luster — but a new entry in the genre seems to have found an ingenious workaround. 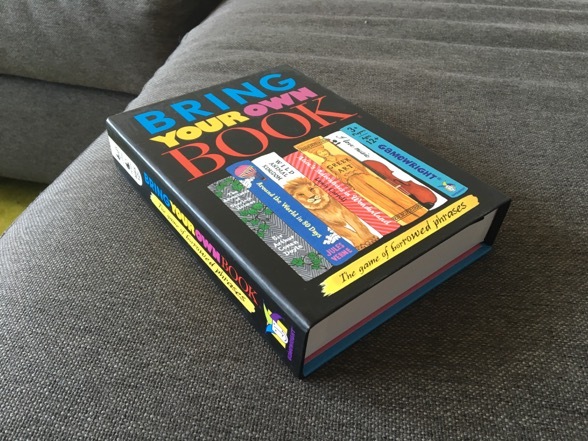 The game is called Bring Your Own Book, and it breathes hilarious, intelligent new life into the party game scene.